That sounds like the usual collection of meaningless YouTube buzzwords, but yet again, in the spirit of the YouTube-fueled musical genius of Kutiman and, more recently, Tan Dun and Internet orchestras, the combination of user-contributed videos turns out to be magical. Perhaps “You” are a star, after all. In Bb also gives You, the viewer, some powers over the remix. As the name implies, everything will blend, so you can start the videos as you wish, and control volume with the volume sliders. It’s part of the ongoing evidence that sometimes simple ideas can be deeply musical and effective. Now, you weren’t expecting to get any more work done on this Friday afternoon / evening / Saturday morning (depending on where you live), were you? In Bb 2.0 is a collaborative music and spoken word project conceived by Darren Solomon from Science for Girls. -Sing or play an instrument, in Bb major. Simple, floating textures work best, with no tempo or groove. Leave lots of silence between phrases. -Record in a quiet environment, with as little background noise as possible. -Wait about 5-10 seconds to start playing. -Total length should be between 1-2 minutes. -Thick chords or low instruments don’t work very well. -Record at a low volume to match the other videos. -You can listen to this mix on headphones while you record. 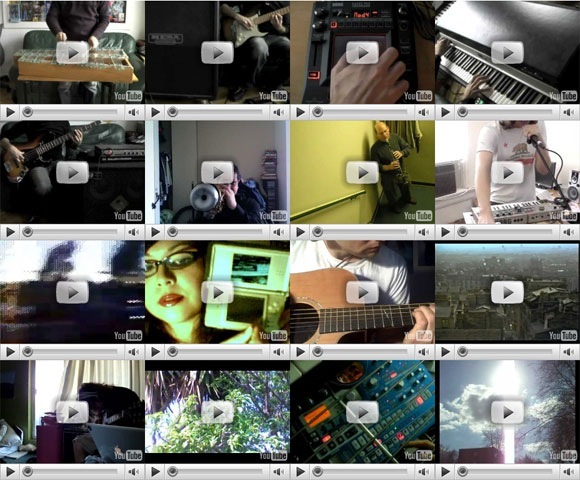 -After you upload to YouTube, play your video along with the other videos on this page to make sure the volume matches. Update: Wow! This got bigger than I imagined! I greatly appreciate every submission, and I will watch everything, though I may not be able to reply to each. Also, I am being selective, in order to maintain the feel of the project. Many, many thanks to all who have submitted! Thanks to for the tip, Mike Cohen!